It is time to start blogging again, and there couldn’t possibly be better way then by starting on my invite to Storage Field Day 15 in Silicon Valley. Truth be told, not blogging was mainly due to building our own house, and we’re still very busy with building our dream house here in the Netherlands, but no more excuses for me and let’s start doing the previews for next week. Last year at Storage Field Day 12 we had the first presentation from Starwind at a Tech Field Day, and I was really impressed by the technology they offer and more importantly the level detail they put in to their presentation as well as the knowledge they showed during the presentation. Most of the VMware techies will know Starwind for their ISCSI target technology they offered, which was used in many homelab environments. I know I’ve used it on multiple occassions in my lab at least. But they are moving on an during the SFD15 presentation we got more information on their HCI solution, AcloudA, Veeam VTL and Cloud replication and Starwind Scale Out and Log Structured File Systems. When companies already presented at a Tech Field Day, I try to watch all the videos before we go in to a new one, although with some companies this really seems impossible because of the number of times they were at a Tech Field Day. With Starwind this is (now) still easy, and that is why I’ll also include the SFD12 Vimeo videos here as well. See you soon for the next presenter. Disclaimer: I was invited to this meeting by TechFieldDay to attend SFD15 and they paid for travel and accommodation, I have not been compensated for my time and am not obliged to blog. Furthermore, the content is not reviewed, approved or edited by any other person than the me. Tuesday 18 april 2017, Patrick van Helden, Director of Solution Architecture at Elastifile was at Metis IT to tell about Elastifile. We had the chance to try a real-life deployment of the Elastifile software. Elastifile is a relative new name in the storage area. Since this month, the company is out of stealth and has presented its Elastifile Cloud File System. The company is founded in 2013 in Israel by three founders with a strong background in the virtualization and storage industry. In three funding rounds the product raised $58 Million. In the last round $15M came directly from Cisco. Other investors in Elastifile are leading flash Storage vendors and Enterprise Cloud Vendors. The goal of the founders is to have a storage platform that is able to run any application, on any environment, at any location. Whereby any location means really any location: Cloud or on premise. The product is developed to run with the same characteristics in these environments. Therefor Elastifile wrote from scratch a POSIX compliant filesystem that supports file, block and object oriented workloads and is optimized for flash devices. You can store your documents, user shares, VMware VMDK files, but also use it for big data applications, all stored on the same Elastifile Cloud File System. But what is the difference with a NetApp storage for example? A NetApp system can also provide you the same capabilities and is already doing this for years. The first thing in which Elastifile’s approach is different than NetApp, is the way the product is written. It’s written for high performance and low latency. Elastifile only supports flash devices and the software knows how to handle the different types of flash devices to get the best performance and extend the lifetime of flash devices. Furthermore, ElastiFile is linearly scalable and can be combined with compute (Hyperconverged Solutions). Another difference is that the Elastifile Cloud File System can run inside a (public) cloud environment and connect this to your own on premise environment. The problem with (public) cloud environment is that it gives you not the same predictable performance as in your on-premise environment. The Elastifile Cloud File System have a dynamic data path to handle noisy and fluctuating environments like the cloud. Due to this dynamic path Elastifile can run with high-performance and most important with low latency in cloud-like environments. The first deployment model is HCI, where the Elastifile software runs on top of a hypervisor. 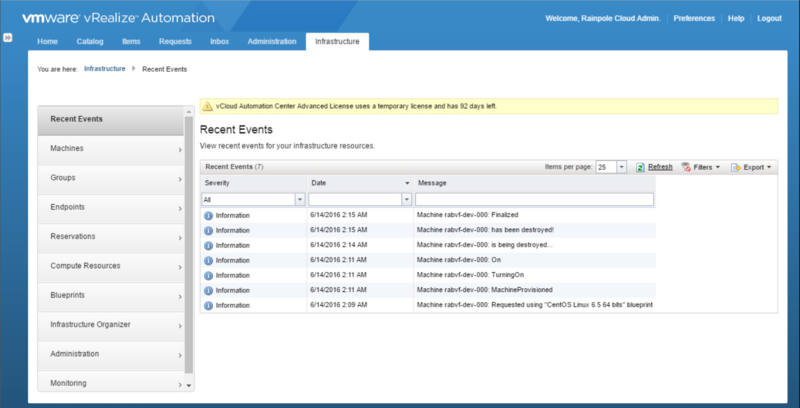 Now, Elastifile supports only VMware, additional hypervisors will be added in future releases. You can compare this deployment with many other HCI vendors, but when connecting and combining the HCI deployment model with one of the other deployment options it gives you more flexibility and capabilities. Most other HCI vendors only support a small set of certified hardware configurations, wherein Elastifile supports a broad range of hardware configurations. The second and in my opinion the most interesting deployment model is the dedicated storage mode deployment. In this model, the Elastifile software is directly installed on servers with flash devices. Together they create the Elastifile distributed storage. With this deployment model, it is possible to connect hypervisors directly to these storage nodes using NFS (and in the future SMB3), but also connect bare-metal servers with Linux, Oracle or even container based workloads to this same storage pool. As we already discussed earlier the latest deployment is the In-Cloud deployment. Elastifile can run In-Cloud in one of the big public cloud providers but is not limited to public clouds. Elastifile can also run in other clouds as long it delivers flash based storage as infrastructure. The Elastifile can use the storage to build its distributed low-latency cloud file system. When combining these three models you get a Cloud ready file system with high performance, low latency and a lot of flexibility and possible use-cases. A great use-case for the Elastifile Cloud File System is that you can decouple the operating system and application from the actual data of the application in a HCI deployment. You can use the Elastifile Cloud File System to mount a VM directly to the storage and bypass the hypervisor. And because the Elastifile Cloud File System is a POSIX filesystem it can store millions of files with deep file structures. A second use-case for the Elastifile Cloud File system is that the performance with any deployment of Elastifile delivers a predictable low-latency performance. When expanding the Elastifile nodes each node will add the same performance as any other node. When adding additional storage, you’re also adding additional storage controllers to the cluster. This result in a linear scalable solution even in cloud-like environments. The last use-case of the Elastifile is that it could automatically move files on the filesystem to another tier of flash storage. This could be a cheaper type of flash or a less performing type of flash storage, for example consumer grade SSD’s. Movement will be based on policies. The Elastifile software can further offload cold data to a cheaper type of storage, like a S3 storage. This can be a cloud based S3 storage, but can also be an on premise S3 storage. 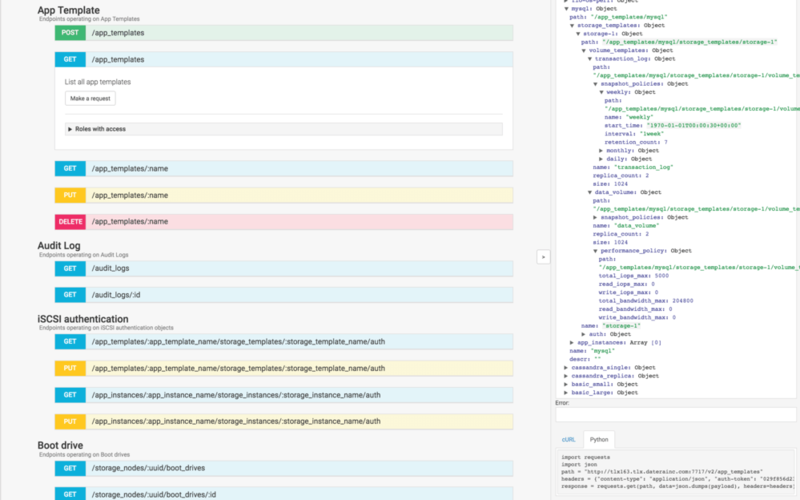 How the future will look like is always difficult to say, but from all what I already tried is this a very promising first version of the Elastifile Cross-Cloud Data Fabric. In the session with Patrick, I deployed the software myself and Patrick showed us the performance on these deployed nodes without any problems. The idea’s around the product are great and on the roadmap, you find the most important capabilities which are needed to make it a real mature storage product. During Storage Field Day 10 we had a very interesting presentation by Datera on their Elastic Data Fabric. They say its the first storage solution for enterprises as well as service provider clouds that is designed with DevOps style operations in mind. 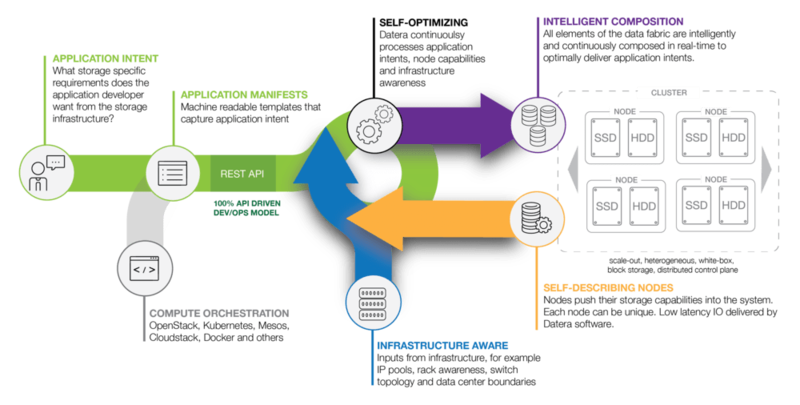 The Elastic Data Fabric provides scale-out storage software capable of turning standard commodity hardware into a RESTful API-driven, policy-based storage fabric, for the enterprise environments. The Datera EBF solution gives your environment the flexibility of hyperscale environments through a clever and innovate software solution. In a fast changing application landscape being fast, flexible, agile and software defined is key. Cloud native is the new kid on the block and more and enterprises are adapting to these kinds application development. Intent defined is a ochestrated play between storage and application. An application developer will know what he would like from storage, and can define these to the storage application programming interface. This is DevOps at its best. When storage is able to be scriptable from a developer perspective and manageable from a storage adminstrator perspective you know you hit the jackpot. Already mention the API a couple of times, but this is one of the key features of the Datera EBF, and therefor very important. 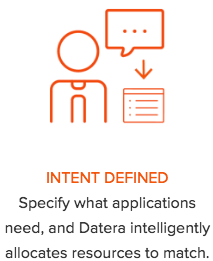 Datera aims to set a new standard with the elegance and simplicity of their API. They intend to make the API as easy usable as possible to make sure it used and not forsaken because it so hard to understand. The API is a well though and extremely hard peace to do right creating something as difficult as a storage platform for the customers Datera is aiming for. 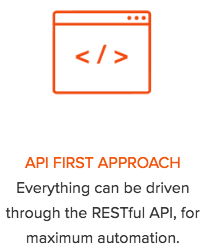 The API first approach and the approach Datera took developing the API seems to be a real seldom seen piece of art in this space. Things always need to come together creating something like a storage platform. One of these things is that the companies buying your solution want the opportunity to mix and match. They want to buy what they need now and if they need more (capacity or performance or both) they want to add just as easy. 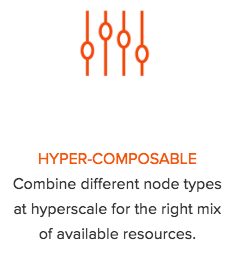 At Datera the you can mix and match different kind of nodes without impacting the overall performance of the solution, making it one of these rare solutions that is truely hyper-composable. This is where a lot of software solutions say they are, but…. 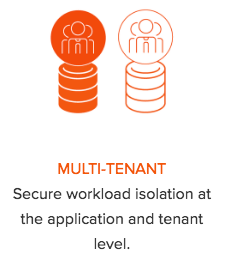 When you start using their products you find out the hard way that the definition of Multi-tenant is used in many ways, and true multi-tenancy is hard to get. Is this different with Datera? They say it is, but to be honest I’m nit really sure of it. I’ll try to figure this out and reach out to the Datera people. And although they do not have a lot of official customers, a couple of them are well known for their multi-tenant environment, so my best guess is that the multi-tenancy part is OK with Datera, if not I’ll let you know. If you are interested in these kinds of topics, please join us for the TECHunplugged conference in Amsterdam on 6/10/16 and in Chicago on 27/10/16. This is a one day event focused on cloud computing and IT infrastructure with an innovative formula, it combines a group of independent, insightful and well-recognized bloggers with disruptive technology vendors and end users who manage rich technology environments. Join us!